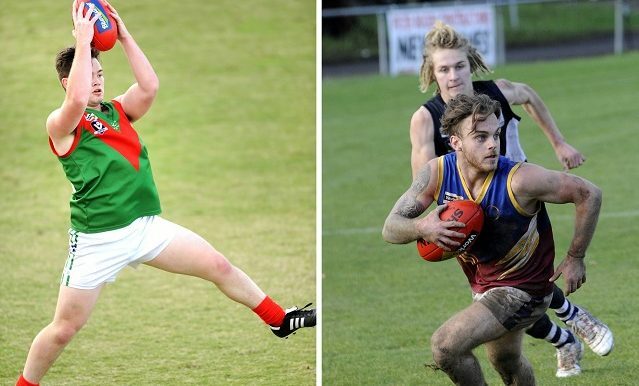 Tooradin-Dalmore (SEFNL) and the Warragul Industrials (EDFL) are both destined for the West Gippsland Football Netball Competition. The creation of one competition featuring the Alberton and Mid-Gippsland clubs is still on the cards after AFL Gippsland released its Leagues and Competitions Review Final Recommendations Report earlier tonight. As part of the final report, there is a recommendation for all current Alberton and nine of the 10 Mid Gippsland clubs to participate in the one competition. The remaining Mid Gippsland club – Yarragon – seems destined for the Ellinbank and District Football League (and Ellinbank and District Netball Association). After feedback provided to AFL Gippsland on the draft recommendations tabled last month, member clubs of the new competition (the ‘Central and Southern Gippsland Competition’) will have the opportunity to determine the governance and administration structure moving forward. A 20-round home and away fixture has been designed, which AFL Gippsland’s report says will “provide old rivalries an opportunity to continue, and alleviate the burden of travel”. Sides would play each opposing team once from Round 1 to Round 15 (including the bye), with Round 16 to Round 20 the ‘rivalry rounds’ over a five-week period (including another bye). Therefore an 18-game home and away season would run over 20 weeks. A top eight would then contest the finals. The first rivalry group would be: Hill End, Newborough, Thorpdale, Trafalgar, and Yallourn-Yallourn North. The second group would be: Boolarra, Yinnar, Mirboo North, Morwell East, and Meeniyan Dumbalk United. The third group would be: Fish Creek, Foster, Stony Creek, Tarwin and Toora. The report states that a one-off cash subsidy of $3500 would be offered to one club within acknowledged jumper clash match-ups. That would go towards the purchase of new playing uniforms across all grades. The acknowledged clashes are: Boolarra versus MDU, Trafalgar versus Fish Creek, Foster versus Mirboo North, and Toora versus Yinnar. According to a statement provided to the Gazette, the AFL Gippsland commission “deemed structural change necessary following Alberton clubs expressing grave concerns about their viability in the current six-team competition”. AFL Gippsland region general manager Ben Joske said the commission had a responsibility to ensure every person in Gippsland had “the opportunity to engage with a stable, vibrant and viable club”. “The AFL Gippsland commission is firmly of the view that for football to flourish in the region it requires a whole-of-region approach,” Joske said. Another recommendation from the Final Recommendations Report is for current South East Football Netball League (SEFNL) club Tooradin-Dalmore and Ellinbank and District Football League (EDFL) outfit Warragul Industrials to join the existing 10 West Gippsland Football Netball Competition (WGFNC) clubs from 2019. A further recommendation from the report is for the development and implementation of “an underage structure that meets the requirements of clubs to field a full complement of teams, whilst giving clubs the best opportunity to retain juniors and transition them into senior footballers”. Originally, AFL Gippsland’s Leagues and Competitions Review Draft Recommendations Report (released late last month) included the introduction of an under-17 age group in place of existing age group structures (typically under-16s and under-18s) in all but two of the region’s senior competitions for 2019. The fourth recommendation of the final report now states that in 2019 Ellinbank and West Gippsland (among others, including the Gippsland League) would retain their under-16s and under-18s. The report states: “A set of draft recommendations were tabled throughout the consultation process which included a move away from U16 and U18 age groups to U17. Following extensive feedback, it was decided that further consultation was required before implementing this across Gippsland, however a trial will be adopted in the East Gippsland Football Netball League in 2019”. 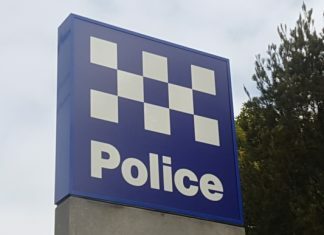 The Gazette has been contacted by a number of current West Gippsland clubs who were vehemently opposed to a move away from under-16s and under-18s. The seventh recommendation of the report is for a junior football structure to be developed in West Gippsland “that is aligned with the demographic and growth expected throughout the region in years to come”. AFL Gippsland will also open discussions with Gippsland League clubs to explore the possibility of an East/West conference structure to be implemented in the future (potentially as soon as 2020). Open dialogue will also be held with AFL South East, AFL Outer East, and interested clubs. AFL Gippsland will now work with clubs and leagues on an implementation strategy for the recommended changes. Any affected stakeholders wanting to appeal against the implementation of the review recommendations must have their applications received by AFL Victoria by 28 September. The WGFNC is set to now include: Bunyip, Cora Lynn, Dalyston, Garfield, Inverloch Kongwak, Kilcunda Bass, Kooweerup, Korumburra-Bena, Nar Nar Goon, Phillip Island, Tooradin-Dalmore, and the Warragul Industrials. The EDFL is set to include: Buln Buln, Catani, Ellinbank, Lang Lang, Longwarry, Neerim Neerim South, Nilma Darnum, Nyora, Poowong and Yarragon. The Central & Southern Gippsland Competition (C&SGC) is set to include: Boolarra, Fish Creek, Foster, Hill End, Meeniyan Dumbalk United, Mirboo North, Morwell East, Newborough, Stony Creek, Tarwin, Thorpdale, Toora, Trafalgar, Yallourn-Yallourn North, and Yinnar.